Already the best XC racer of all time, Nino Schurter will look to add to that legacy this weekend. Nino Schurter is an Olympic champion, 6-time World Champion, and 6-time World Cup champion. In addition, he has 30 World Cup wins to his name. 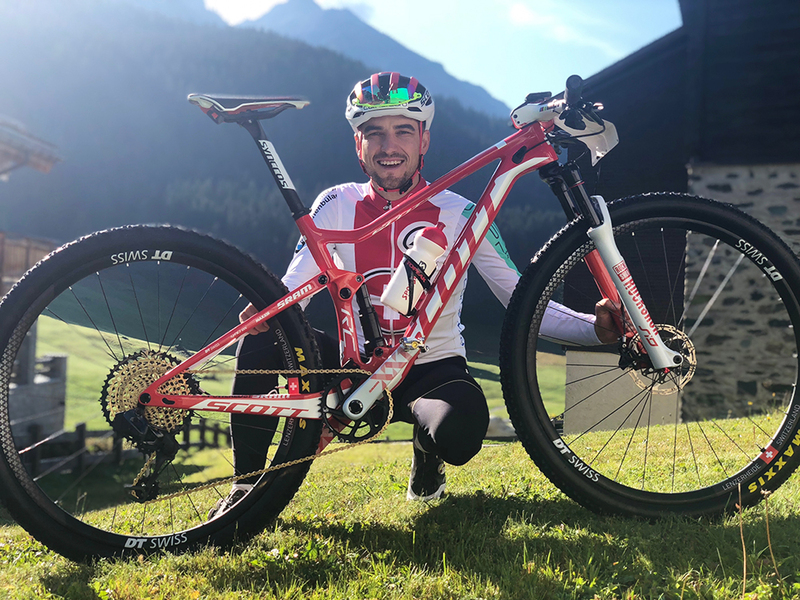 But the Swiss star prefers to look forward not back, which is why on Saturday he’ll be the favorite to win gold at the 2018 World Mountain Bike Championships in Lenzerheide, Switzerland. Besides the chance to claim rainbow jersey No. 7, winning in Lenzerheide would mean taking triumph on home soil, as the mountainous Swiss region has long been Schurter’s primary training ground. 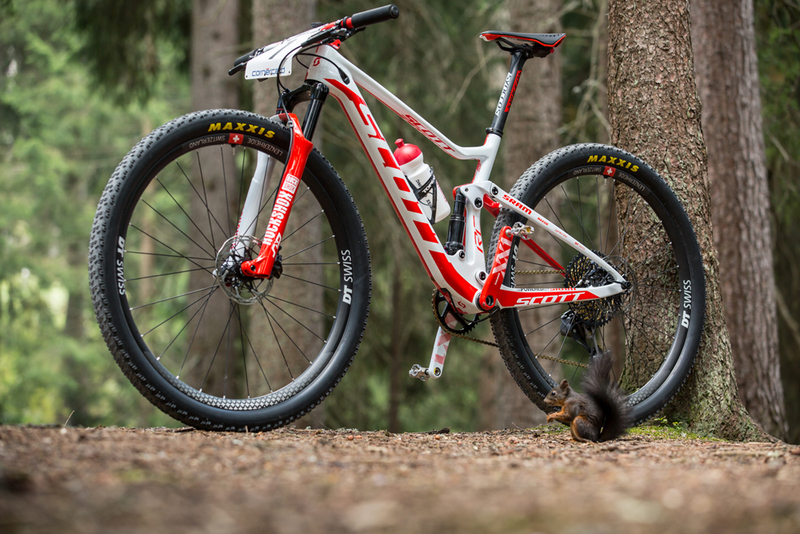 Nino Schurter will pilot this Scott Spark RC 900 Special Edition for Lenzerheide. The Men’s Elite cross country race will take place Saturday at 9:30 am east coast time, and consist of 7 laps on a 4.2km circuit with 188m of climbing per lap. Lenzerheide race official are expecting upwards of 15,000 spectators. 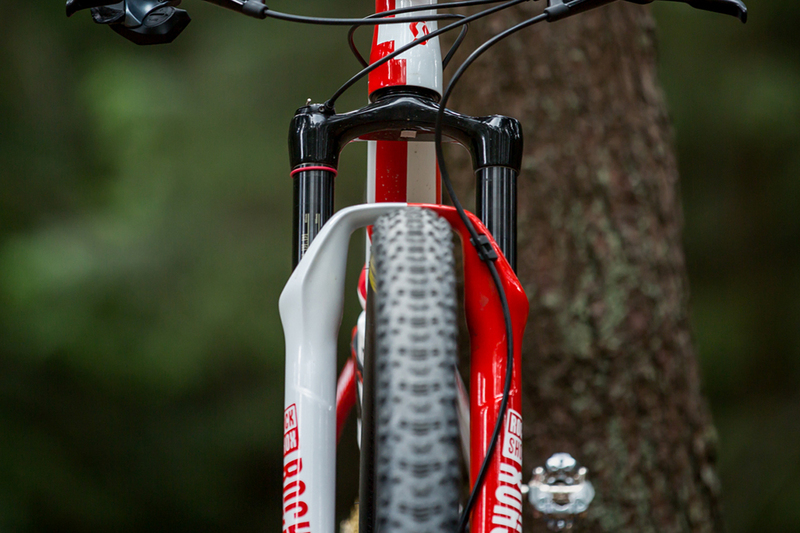 Here’s a closer look at the bike Schurter will be piloting in his quest for glory. Click the images to enlarge. 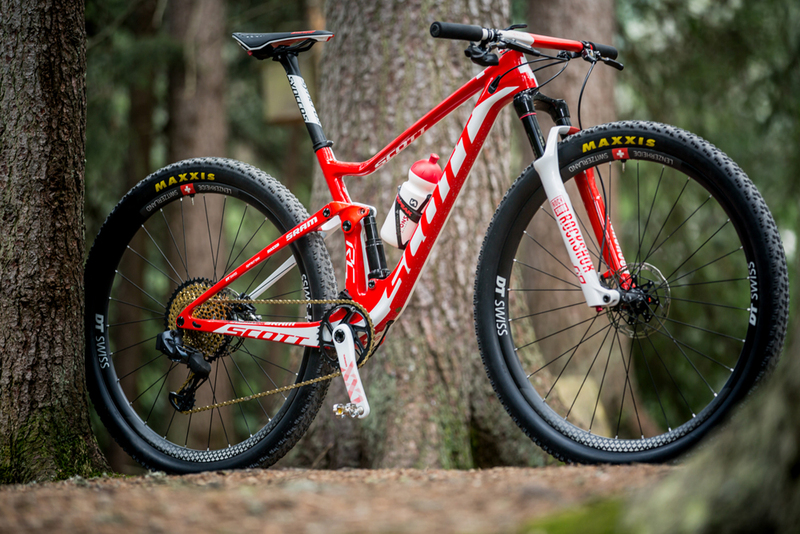 For the World Championships at Lenzerheide, Scott and SRAM’s designers worked together on a Swiss Army Knife style race design with tons of nice details. 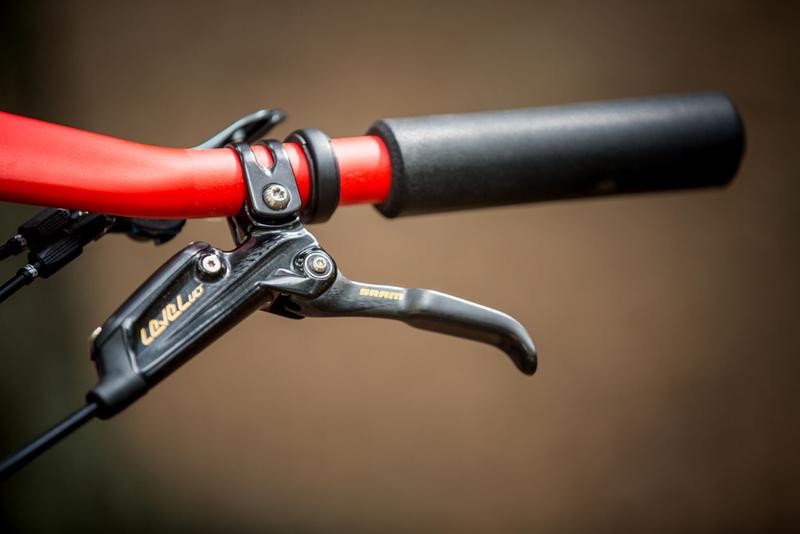 Schurter runs a 90mm stem-handle bar combo. 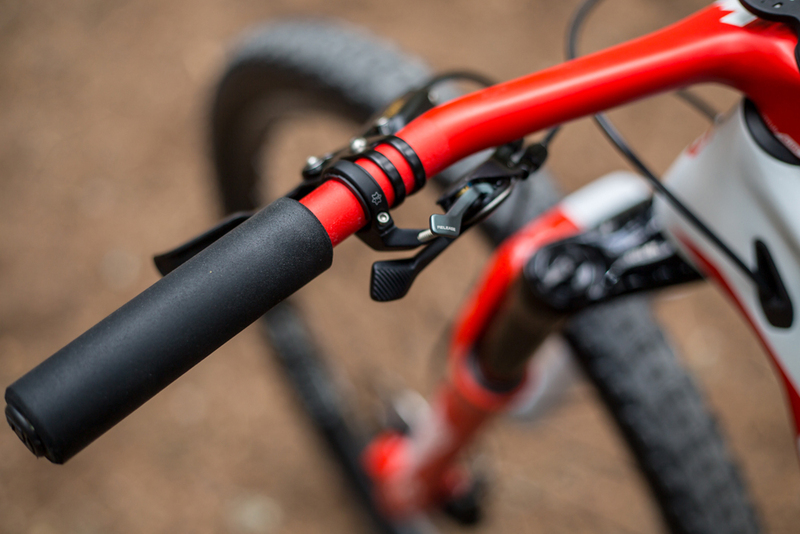 The Fraser iC SL has a negative rise of -25° to keep the handlebars really low. The negative combo maximizes the advantages of his aggressive riding position. 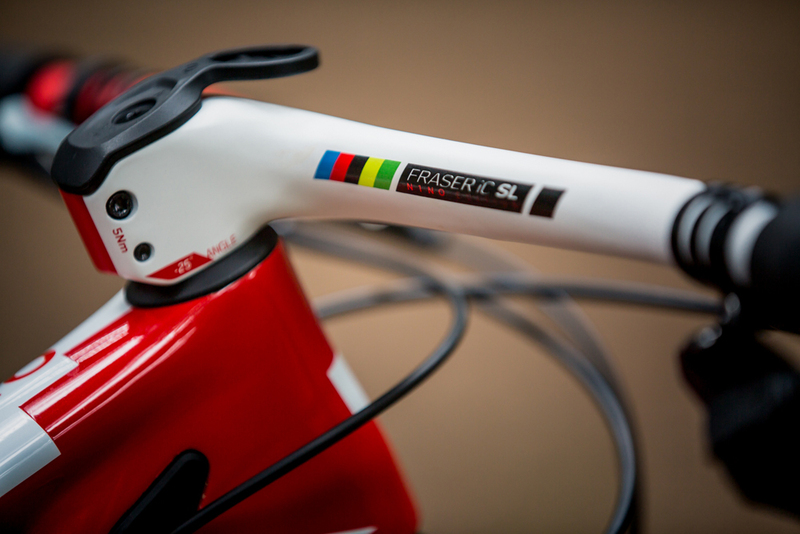 The stem-handlebar combo Fraser iC SL Special Edition cockpit has a -25° rise, 90mm virtual stem length. Bars are cut to 680mm width, and have 6° backsweep and 9°upsweep. 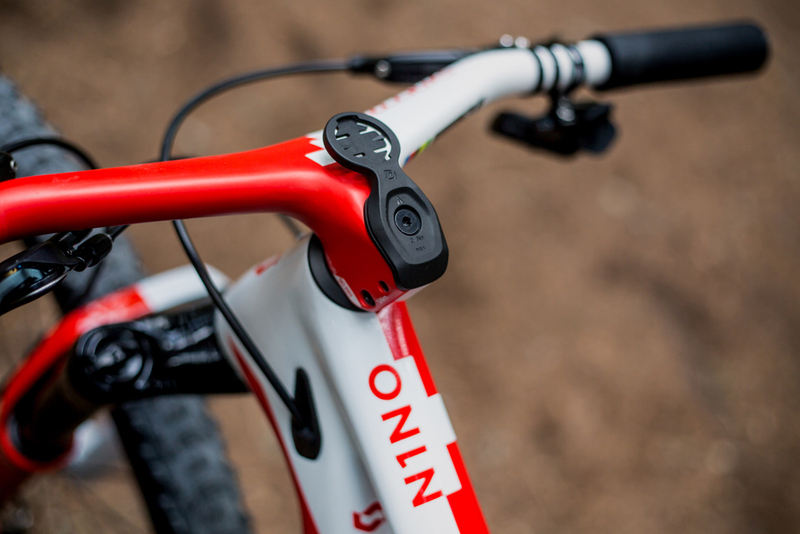 A smoothly integrated Syncros mount for his Garmin device tops off the overall look. 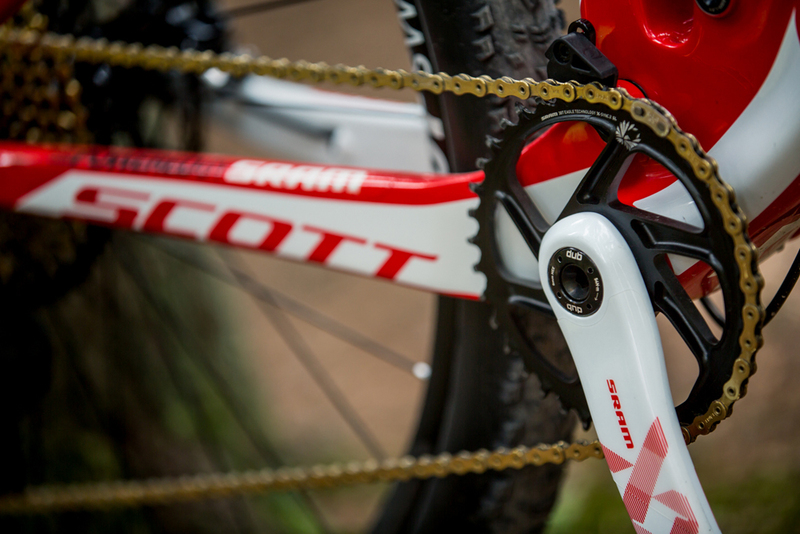 Scott’s proprietary TwinLoc enables Schurter to lock both shock and fork for better climbing. Frame weight is 1779g (including shock and hardware). This was utilizing Scott’s lightest HMX carbon fiber and a sophisticated carbon lay-up process. The frame is made of 752 single carbon layers, all put together by hand. The heart of the frame is the Trunnion mount. The shock body extends between the two lower mounting bolts which results in more stroke for the same eye to eye length. 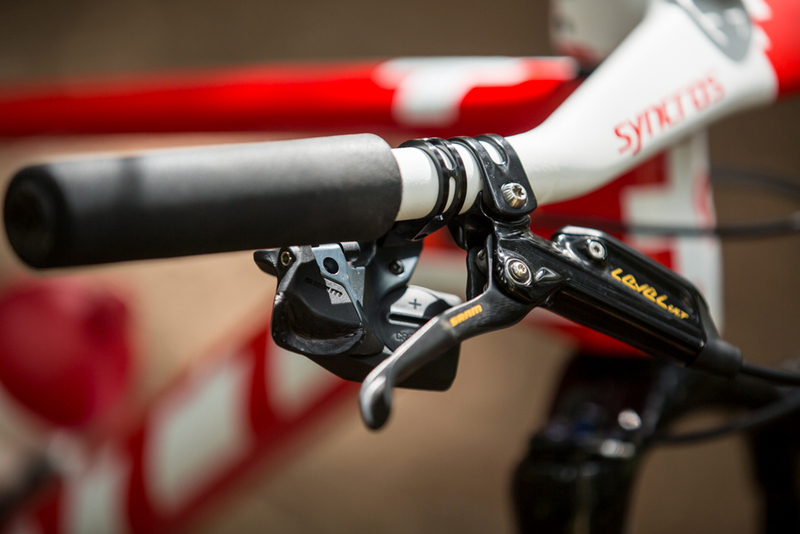 The shorter shock also enables a very compact frame and shock package, which integrates tightly to the seat tube. Drivetrain is SRAM’s XX1 Eagle Black Box 12-speed drivetrain. 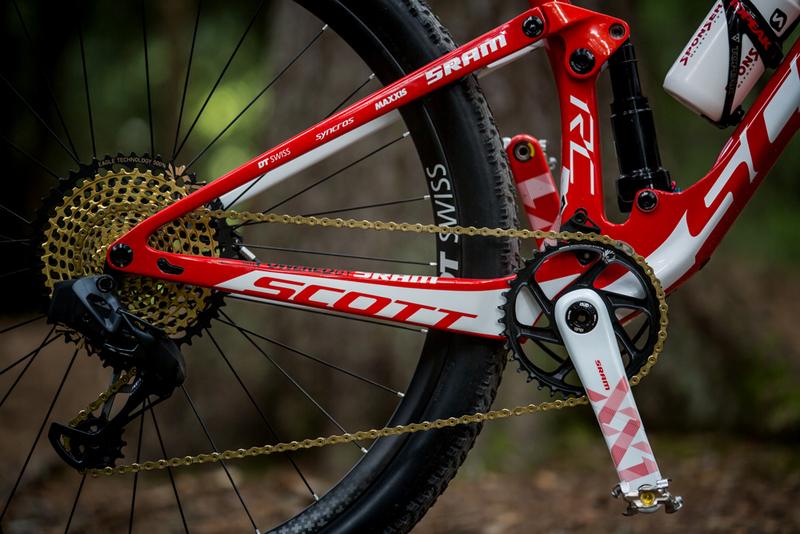 Schurter normally runs a massive 38-tooth chainring, depending on the course. Pedals are Ritchey’s WCS V6. 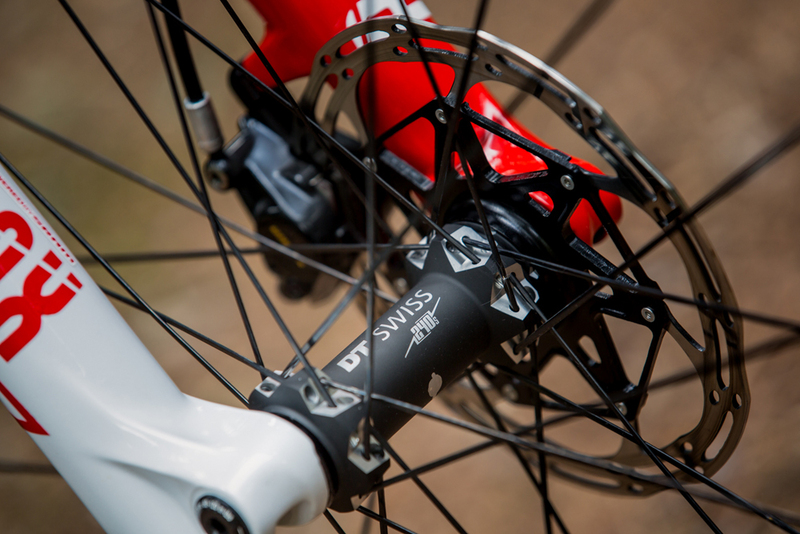 SRAM Level Ultimate disc brakes are combined with 160mm rotors on the front and rear. 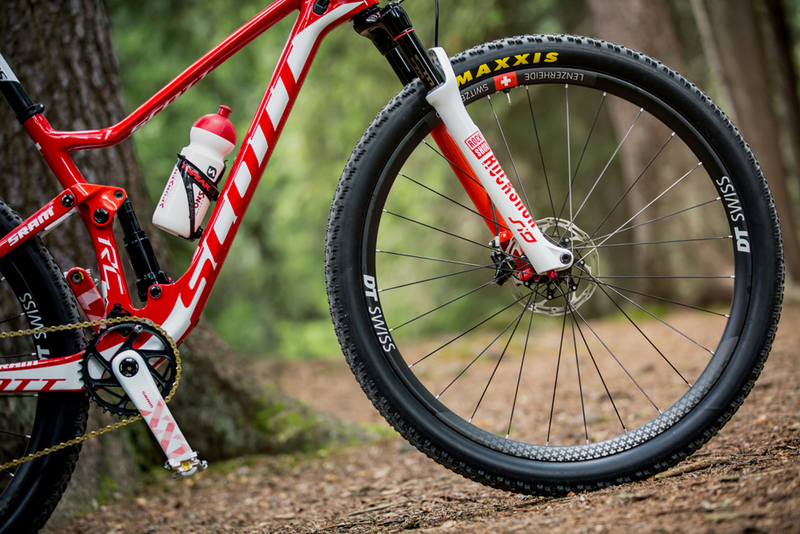 Lightweight DT Swiss custom-painted XMC 1200 Spline Carbon 29er wheels are Schurter’s choice for Worlds. Tires are Maxxis Aspen 29×2.25 170TPI EXO TR with 50ml of sealant. 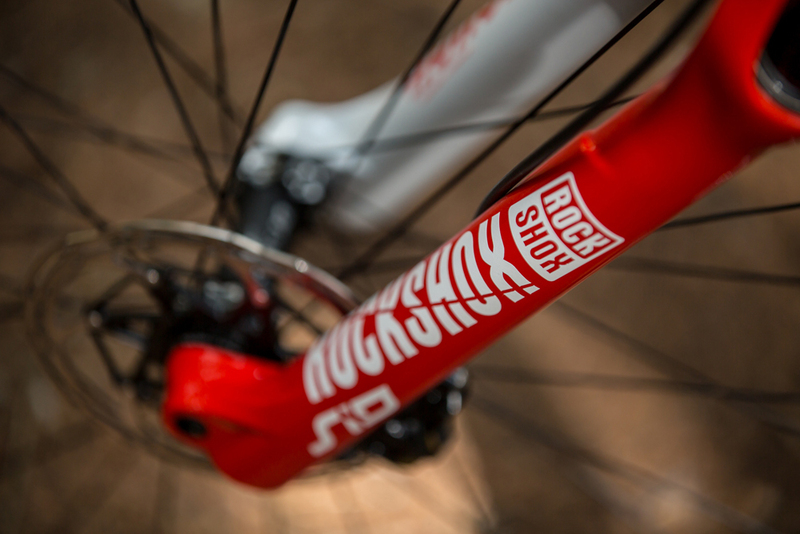 Keeping the ride smooth is a 100mm RockShox SID World Cup Carbon RL3 Charger Black Box fork is paired with a custom 3-mode rear shock and proprietary TwinLoc suspension system. 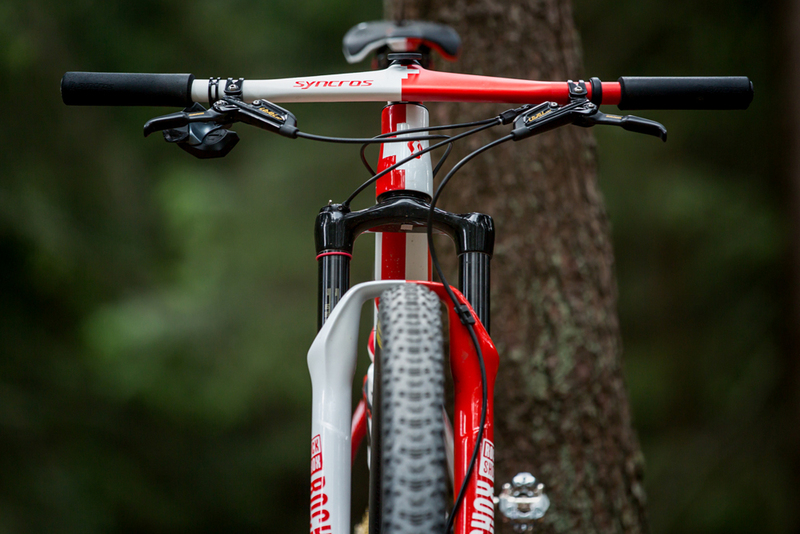 Schurter’s saddle, seatpost, headset, handlebar-stem, and grips are all from the Syncros stable. 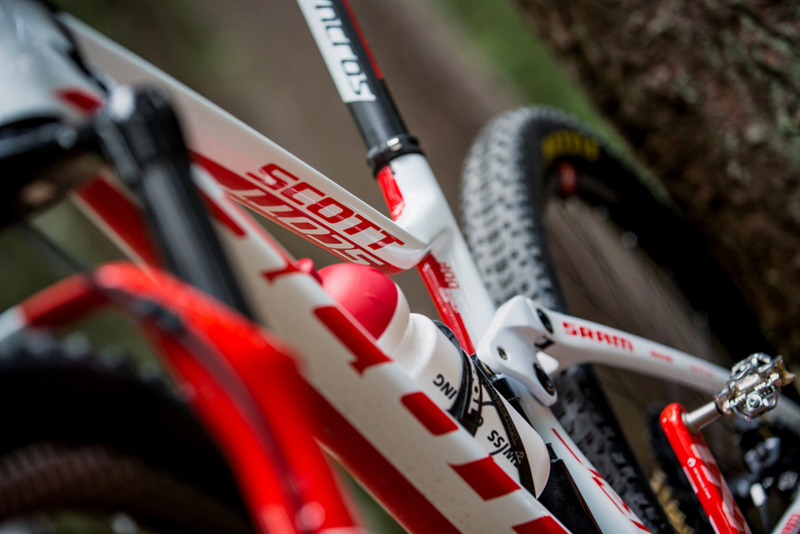 To learn more about the Scott Spark RC 900 World Cup, head to www.scott-sports.com. 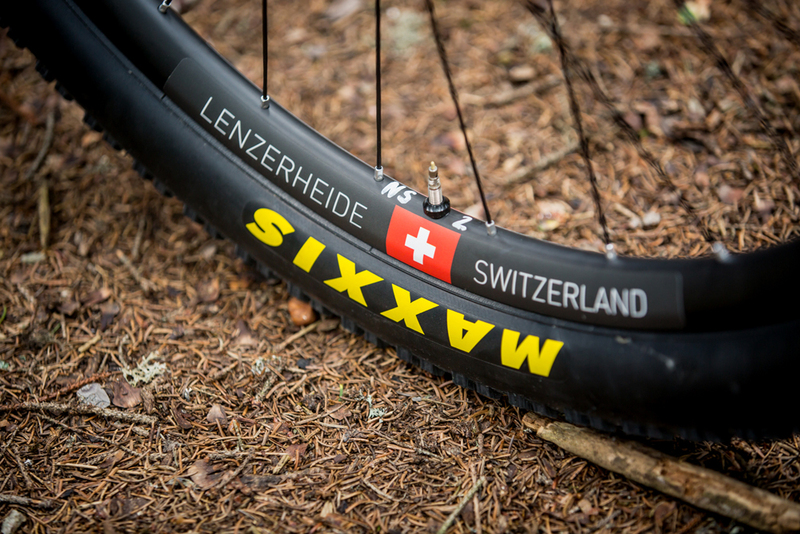 Lightweight DT Swiss custom-painted XMC 1200 Spline Carbon 29er wheels are Schurter’s choice for Worlds. Tires are tubular Maxxis Aspen 29×2.25 170TPI EXO TR with 50ml of sealant. Wow now that’s a valve stem! I don’t think Nino runs tubular tires since he went 29er. Those are tubeless tires. Agree – these are supposed to be tubeless, not the old tubulars he used to run. The 170tpi is a “pro’s” only tire that Maxxis has not made available to general public due to high cost of production and short tire life. However the tread pattern is supposed to be the same as the Aspen 2.25 120tpi. Tubeless indeed. Looks like we got some bad info. Thanks. anyone know what frame size that is?